America gave Finland a wonderful gift—Valentine’s Day. Ever the smart country that it is, Finland did the US one better. They improved it. While most of the world celebrates St. Valentine’s Day on February 14, Finland celebrates “Friend’s (or Friendship) Day” [Ystävänpäivä]. This tradition is a relatively young one in Finland –only since the late 80’s. Rather than the American tradition that dedicates the day to love and romance, Finns celebrate all of their friends. I say we in the Finnish American community should take on the Finnish improvement, yet keep the love and romance part in our lives. Everyone needs some flowers and a little chocolate in their lives. N’est pas ? Friends are such an important part of life–especially here in our City of Angels. With its vast areas, huge multitudes of people, and the transient nature of the locals (moving all the time—except on the freeway), when you find a true friend it is special. Those of us in the Finnish community have a natural connection and should support one another, taking pride in and celebrating each one’s successes –as well as, being there in difficult and sad times. Wilshire was moving along well. A few years ago, I would not have wanted to drive alone at night there. Tonight, even MacArthur Park was lit up–the lake and fountain looked peaceful and beautiful. It had been awhile since I took this nostalgia drive by my first law office, by Southwestern Law School where I began my JD studies, and by their Law Library building which used to be Bullock’s Wilshire Department Store where I spent way too much of my first ‘lawyer’ paychecks! You know the place–the gorgeous Art Deco building with the tower. The green lights seemed to be cooperating with the ‘get home safely’ driving plan. Coming into Beverly Hills, there was a strange slowing and too much traffic for 11:30 at night. At the corner of Santa Monica and Wilshire [The Beverly Hilton] there were dozens of news trucks with satellite towers aimed skyward. People lined the sidewalks with cameras and flowers. Why? The Golden Globes were ‘history’. The Grammys were not supposed to be until Sunday. Since only freeway driving generally requires the “…every 6 minutes traffic reports”, the radio was not on. Quickly, I remedied that. The sad news about the death of Whitney Houston explained what was going on. She had just passed away a few hours before. Whitney Houston’s aunt is Dionne Warwick. The lyrics to her song “That’s What Friends Are For” is appropriate today. Friends are there for one another through good times and bad. Yet, we get busy, lost in our work, isolated, and in the ‘pressure cooker’ and ‘fast lane that is Los Angeles. It is good to have a day, in the Finnish way, to say ‘thanks’ to our friends, to celebrate human kindness, and to re-trace the paths we traveled to get to where we are today. Los Angeles has some things that make one wonder why things are so. For those of us who have lived here for decades, strange things pop into your head. For me, I have wondered for years why, with the vast amounts of coastline and beaches, there is no nice restaurant where you can be in a lovely environment near the waves, have a delicious meal, and watch the sunset. It should be a no-brainer. Well guess what, such a venue now exists! [And, no, it is not Geoffrey’s in Malibu, a mere 27 hours away!]. The ‘no-brainer’ is called the Strand House. 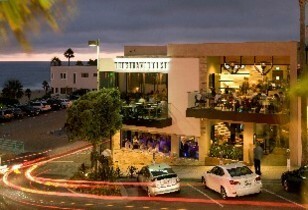 It is located on the beach, by the pier in Manhattan Beach. Be a friend to yourself—and a loved one. Be your own Valentine –if necessary. Book a window table for sunset. Order the hamachi crudo and watch as the sun disappears into the Pacific. This is life in LA as it is meant to be! Have I said: “Happy Valentine’s Day”? P.S. : While you enjoy your Valentine’s Day with your loved ones and friends, I will be spending February 14th at the hospital welcoming the most wonderful Valentine’s present of all–a new grandson scheduled to arrive at sunrise! It will be OK with me to miss the sunset this time around. I am a teacher looking for information about how is Saint Valentine´s day celebrated in other countries, and Ijust found out you article which has made me become very interested on it! I consider, celebrating Valentine´s days as a friendship day would be awesome in school, after all, is there where we usually make our best friends for ever! That´s why I would like to know if there is any other information you would like to share with me about this day in Finland, I would highly appreciate it!